ENSENADA, Baja California, Mexico—History is the foundation for the present, the present is structure for the future and echoes from the past resonate resoundingly as racers from around the world are anxiously awaiting next week’s memorable internationally-televised 50th BFGoodrich Tires SCORE Baja 500. Round 2 of the four-race 2018 SCORE World Desert Championship will be held next Tuesday through Sunday (May 29-June), starting and finishingin Ensenada, Baja California, Mexico, the seaside port on the Pacific Ocean, 80 miles south of San Diego. It is an elapsed-time race with staggered starts as the green flag on Saturday (June 2) will drop first for the motorcycles and quads at 3:30 a.m. (PDT) and 8 a.m. (PDT) for the cars, trucks and UTVs. While the fastest vehicles will complete the rugged race-record 542.12-mile course in around 11 hours, all vehicles will have a 22-hour time limit to become an official finisher. Over 350 vehicles are expected at the start line with racers from as many as 30 U.S. States and 20 countries anticipated. Race title sponsor BFGoodrich Tires has posted a US$25,000 contingency bonus to help commemorate this year’s Golden Anniversary. The legendary Baja 500 is celebrating its 50th anniversary next week in Ensenada, Baja California, Mexico. 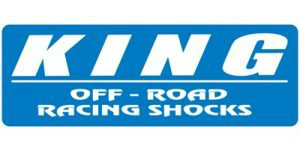 The race was first held in 1969, organized by the NORRA racing organization for four years. In the inaugural Baja 500 in 1969 winning the overall 4-wheel vehicle title was the team of Bud Ekins/Guy Jones in an Oldsmobile-powered Baja Boot open wheel desert race car and the fastest motorcycle was the Ducati riden by Doug Douglass and Jim McClurg. In 1973 the Baja Sports Committee, local tourism group in Ensenada, produced the event. Later in 1973 after the NORRA group was no longer sanctioned to produce events in Mexico, Baja California tourism advocate and prominent Ensenada hotelier Nico Saad introduced Mickey Thompson to the governor of Baja California that resulted in SCORE being named as the official non-Mexican promoter authorized and sanctioned by the Baja California government to produce events in this Mexican state. Thus came the birth of the SCORE Baja Internactional (legal issues precluded SCORE from gaining the rights to use the name Baja 500 until 1991). The first SCORE Baja Internacional (produced by Mickey Thompson and Sal Fish) was held on July 26, 1974 in Ensenada with 279 official starters and 173 official finishers. But fans, media and racers alike have always called it the Baja 500. Noted Hollywood stunt driver Bobby Ferro won the overall 4-wheel vehicle title for the third of four times in his career in 1974, this time in a VW-Sandmaster open-wheel desert race car. The fastest overall motorcycle in this race was the Husqvarna with Mitch Mayes and A.C. Bakken sharing the riding duties. Racers like Ivan Stewart, Larry Roeseler, Bobby Ferro, Parnelli Jones, Larry Ragland, Robby Gordon, Malcolm Smith, Dr. Bud Feldkamp, Troy Herbst, Bryce Menzies, Steve Hengeveld, Johnny Campbell, Justin Morgan and McMillin family racers—Corky, Scott, Mark and Andy—are all part of the legacy of all-time multiple overall four-wheel and multiple two-wheel vehicle winners of the SCORE Baja 500. Also on the iconic overall winner’s list with one 4-wheel victory each are active racers B.J. Baldwin (2008), Kory Halopoff (2009), Mike Julson (1995), Curt LeDuc (1995), Harley Letner (2009), Carlos ‘Apdaly’ Lopez (2015), Rob MacCachren (1996) and Gustavo ‘Tavo’ Vildosola Jr (2016). With one motorcycle overall win each are active racers Mike Childress (2005), Shane Esposito (2017) and Mark Samuels (2016). Governors of Baja California during the years of the SCORE Baja 500—Raúl Sánchez Díaz…1965-1971; Milton Castellanos Everado…1971-1977; Roberto De la Madrid Romandia…1977-1983; Xicontecatl Leyva Mortera…1983-1989; Oscar Baylon Chacón…Interim for eleven months in 1989; Ernesto Ruffo Appel…1989-1995; Héctor Terán Terán…1995-1998 (Died while in office); Alejandro González Alcocer…1998-2001 (Interim); Eugenio Elorduy Walther…2001-2007; José Guadalupe Osuna Millán…2007-2013 and Francisco Arturo Vega De la Madrid…2013-2019. Legendary Hall of Fame former SCORE owner Sal Fish will join Hall of Fame retired racer Ivan Stewart as co-Grand Marshals for this year’s 50th BFGoodrich Tires SCORE Baja 500. Fish, the ‘godfather’ of desert racing who ran SCORE from its Baja start in 1974 for 38 years through the end of the 2012 season joins the iconic ‘Ironman’ Stewart to share duties for the special golden anniversary race that they both have been such a major part of over the years. Fish, who turned 79 on May 2 and Stewart who will turn 73 on June 4, will both be active parts of the celebration of the popular early summer race. Among the drivers from other arenas who have tested the Baja 500 have been Indy Car racers Rick and Roger Mears, Parnelli Jones, Danny Ongias, Danny Sullivan, Jimmy Vasser, Roberto Guerrero, Michel Jourdain Jr., Johnny Unser and Mike and Robbie Groff, NASCAR’s Robby Gordon, Jimmie Johnson, Boris Said and Brendan Gaughan, SCCA legend Elliot Forbes-Robinson, Pike’s Peak Hill Climb record holder Rod Millen, Drifting and Pike’s Peak champion Rhyss Millen, World Rally Championships’ Armin Schwarz, Armin Kremer, Andreas Aigner and Harri Pavanpera, world motorcycle champions Malcolm Smith, Larry Roeseler and Destry Abbott, Motocross legends Ricky Johnson and Jeremy McGrath, Dakar Rally Champions Cyril Despris and Marc Coma, XGames star Travis Pastrana, drag racers Don Prudhomme and Larry Minor and legendary SCORE founder and motorsports innovator Mickey Thompson. Part of the legacy of this iconic race, SCORE presents the racers who have been overall winners of the SCORE San Felipe 250, SCORE Baja 500 and SCORE Baja 1000 the SCORE Baja Triple Crown Award. The nine individuals who have earned this amazing honor are: Dave Ashley, Robby Gordon, Rob MacCachren, Andy McMillin, Scott McMillin, Larry Ragland, Dan Smith, Ivan Stewart and Gustavo ‘Tavo’ Vildosola Jr.
Ensenada has hosted nearly all of the Baja 500 races. The race officially became the SCORE Baja Internacional in 1974 and Sal Fish was finally able to negotiate the use of the name it was always called and it became the SCORE Baja 500 in 1991. Overall, the world’s most well-known desert race has started 44 times in Ensenada, three times in Ojos Negros, once in Barstow, Calif. (USA), and once in San Felipe. Overall, the SCORE Baja 500 has finished in 40 times in Ensenada, five times in Santo Tomas, twice in Ojos Negros, once in Barstow, Calif. (USA) and once in San Felipe. Motorcycle classes have run in this race every year but 1989 when the race was moved to San Felipe very close to the race date. Legends are born at the SCORE Baja 500. Drivers with the most overall wins in the race, Larry Roeseler is on top with 11 (including nine on a motorcycle and two in an open-wheel desert race car). Second is Ivan ‘Ironman’ Stewart with the most overall 4-wheel victories by far with 10 (and he also has 17 total class wins including the 10 overalls). Third in overall wins with five overall 4-wheel wins is ‘Lightning’ Larry Ragland. With four overall 4-wheel wins each are Bobby Ferro, Robby Gordon and Malcolm Smith (including one on a motorcycle). With three overall 4-wheel wins each are Dr. Bud Feldkamp, Troy Herbst, Mark McMillin, Mark’s brother Scott McMillin and Bryce Menzies. With two overall 4-wheel wins each are Brian Collins, Bob Gordon (Robby’s father), Parnelli Jones, Andy McMillin (Scott’s son), Corky McMillin (McMillin family patriarch) and Dan Smith (including one on a motorcycle). Besides Roeseler with nine, the leaders in overall motorcycle wins are Steve Hengeveld (7), Johnny Campbell, Paul Krause, Bruce Ogilvie and Kendall Norman with five each. With four each are Robby Bell and Ted Hunnicutt Jr and with three each are Scot Harden and Jonah Street. In the battle of manufacturers, several categories are presented. Leaders in overall car/truck wins are Ford Truck (12), Chevy Truck (8), Funco, Chenowth and Toyota trucks with seven each and Jimco and Smithbuilt with three each. Leaders in overall Tire manufacturers’ wins for cars/trucks are BFGoodrich Tires (31), Western Auto (5), Toyo Tires (3) and tied with two each are Firestone Tires, Goodyear Tires and Yokohama Tires. The leaders in overall motorcycle wins are Honda (19), Husqvarna (12), Kawasaki (11) and Yamaha (4). The leaders in overall engine wins for cars and trucks are Ford (14), Volkswagen (13), Chevy (12), Toyota (7) and Porsche (5). There are 10 racers who have overall victories in both the SCORE Baja 500 and the SCORE Baja 1000, which celebrated its 50th race last November. Clearly leading with way was legendary Larry Roeseler who has 13 overall wins in the SCORE Baja 1000 and 11 in the SCORE Baja 500. Second is Larry Ragland who has five in each of the iconic SCORE races. The other racers who have overall victories in both races along with their overall wins in each race are Andy McMillin (2 SCORE Baja 500, 5 SCORE Baja 1000), Robby Gordon (4, 3), Rob MacCachren (1, 4), Troy Herbst (3, 2), Scott McMillin (3, 2), B.J. Baldwin (1, 2), Gustavo ‘Tavo’ Vildosola Jr (1, 1) and Mark Samuels (1, 1). In 49 years of this great race, non-U.S. drivers have been the fastest overall 4-wheel winners in this race twice and once in the motorcycle division. Both Mexican nationals, Carlos ‘Apdaly’ Lopez of Tecate was the first non-American winner in 2015 in at Chevy SCORE Trophy Truck and Gustavo ‘Tavo’ Vildosola Jr of Mexicali followed up in 2016 by winning in a Ford SCORE Trophy Truck. Last year, Francisco Arredondo of Guatemala became the first non-U.S. racer to win the overall motorcycle titles as he was rider of record on the winning team of Americans—Shane Esposito/Justin Morgan and Mexico’s Roberto Villalobos of Tijuana. Looking at some overall stats from this legendary race, a total of 12,772 vehicles have started the first 49 races for an average of 260.7 starters per race. A total of 7,053 vehicles have finished the first 49 races for an average of 144 finishers per race. Percentage-wise, 55.2% is the average finishing rate for this legendary race. In the first 49 years, the most ever starters came in 2007 when 492 vehicles left the start line and the second most starters was in 2006 when 438 started the race. In the first 49 years, the most ever finishers came in 2007 when 228 finished race and the second most finishers was in 2006 when 221 vehicles finished the race. In the first 49 years of the world’s most famous desert race, the fewest number of starters was the first race back in 1969 when there were 163 and the fewest number of finishers was also in 1969 when there were 73 finishers. Overall there have been nine SCORE Baja 500 races with 300 or more starters. It will be memorable to see what these numbers are this year for the 50th anniversary race. 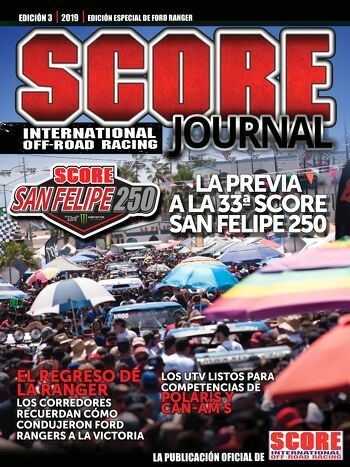 In the March issue of SCORE Journal digital magazine (www.SCORE-international.com) there are two feature stories on former overall motorcycle winners of the SCORE Baja 500. Johnny Campbell, a five-time overall winner (1997, 1998, 2002, 2003 and 2004) is featured along with the career of Scot Harden, who won the overall motorcycle title in this race three times (1978, 1985 and 1996) in his career. There is also a story on Sal Fish and Ivan Stewart as co-Grand Marshals for this year’s race. In the April issue of SCORE Journal digital magazine (www.SCORE-international.com) there are three more features in the special section of 50 Years of Glory-A celebration of the SCORE Baja 500. Featured in this issue are two-time overall winner Parnelli Jones (1970, 1973), Jones’ purpose-built ‘Big Oly’ Ford Bronco and another in-depth story on Gustavo ‘Tavo’ Vildosola Jr on his quest to win the overall in the SCORE Baja 500 which he did in 2016. In the May issue of SCORE Journal digital magazine (www.SCORE-international.com) there are four more features in the special section of 50 Years of Glory-A celebration of the SCORE Baja 500. Featured in this issue are former SCORE owner and innovator Sal Fish looking at the race that almost didn’t happen in 1984, Ivan ‘Ironman’ Stewart on his amazing record of 17 class wins in this race, Ensenada hotelier and major tourism advocate Nico Saad and his behind-the-scenes efforts for 50 years and the McMillin family—a Dynasty in the Desert including the masterful McMillin ‘Macadu’ Chenowth open-wheel desert race car. While the magnificent mystery of Baja California is infamous, the masters of SCORE Baja 500 have etched their names in the lasting legacy with their class wins in this legendary race. There are 15 racers who have earned seven or more class wins in this event. History shows that the masters of this race are age-group motorcycle racer Jim O’Neal with 20 class wins, venerable Rod Hall with 18, Ivan ‘Ironman’ Stewart and Larry Roeseler with 17 each and age-group motorcycle legend Richard Jackson with 15 class wins. 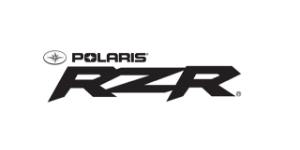 While Roeseler leads with 11 overall wins (including nine on motorcycles), Stewart is right behind him with 10 overall victories (all in four-wheel vehicles and seven in PPI Toyota Trucks). Tied with nine class wins each in this race are 4-wheel vehicle drivers Marcos Nunez and Donald Moss while tied with eight class wins each are veteran age-group motorcycle racer Lou Franco and Steve Hengeveld (with seven of his being overall motorcycle wins as well). Six racers are tied with seven class wins each—Sergio Gutierrez, Troy Herbst, Jeff Kaplan, Larry Ragland, Arnoldo Ramirez and Eric Solorzano. Of this illustrious group, expected to race in the Golden Anniversary race and add to their legacy are O’Neal, Roeseler, Franco, Hengeveld, Troy Herbst, Kaplan and Solorzano. SCORE Trophy Truck, which debuted in 1994, is celebrating its 25th season as the marquee racing division in the sport. The SCORE Baja 500 has seen the two largest fields of SCORE Trophy Truck in SCORE history, have 39 starters both in 2007 and in 2010. Winning SCORE Trophy Truck and the overall in 2007 was the team of Larry Ragland/Brian Collins and in 2010, the SCORE Trophy Truck and overall winners were the son/father team of Andy McMillin/Scott McMillin. The next highest total of SCORE Trophy Truck starters in SCORE history was in this race that had 37 starters in 2006, 2013 and 2014. 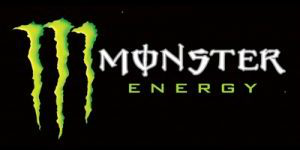 The team of Brian Collins/Larry Ragland won the class and the race in 2006, Robby Gordon won in 2013 and Bryce Menzies won in 2014, his third SCORE Trophy Truck win in this race in a four-year period. Early signs indicate that this year’s field should be the largest group of SCORE Trophy Trucks in the 25-year history of the Sal Fish-created featured division for high-tech, 950-horsepower, unlimited custom trucks. SCORE Trophy Truck Take 2. SCORE Trophy Truck racers have won the overall in 13 out of the last 14 years in the SCORE Baja 500, including the last eight consecutive years. The last overall winner in this race not driving a SCORE Trophy Truck was the team of cousins Harley Letner and Kory Halopoff who won the overall and the unlimited Class 1 in 2009 in a Chevy-powered Tatum open-wheel desert race car. The Golden Anniversary race features a course, finalized by SCORE CEO/President Roger Norman along with Race Director Jose A. Grijalva of a rugged race-record 542.12 miles. The historic race course is another memorable example of all that Mexico’s Baja California has to offer, including high-speed dirt trails, sandy, rocky and silty natural terrain, majestic Baja washes and canyons, stretches along the seashore with elevations from sea level to over 3,000 feet. The course is another crown jewel reflecting the stark beauty and magnificence of Baja California. As of today, there are 260 total entries for this year’s race from 29 U.S. States, U.S. Territory of Puerto Rico. In addition to the USA, other countries with a racer entered so far this year are Host country Mexico, Andorra, Argentina, Austria, Canada, Finland, France, Germany, Italy, Japan, New Zealand, Peru and Spain.